Obviously single bits may not be ideal for the amount of postage it would cost, so it might be nice if you were to post larger quantities, such as the excess shields/spears you get from the boxed sets. Hi all, I am looking for one or two Black Guard halberds, the two-handed versions which come as a separate part with some of the BG miniatures. I know it may end up being a single small item being sent in the mail, but I'd be happy to send an SAE for it! I have a range of DE and general Undead bitz to trade, as well as a scattering of random Empire weapons and appendages. Please PM me if you can help out, it would be much appreciated. PS - Alternatively, if anyone has a way of fashioning a convincing-looking replacement from DE bitz, I'd be happy to hear from you. "Alae mei scutum ferreo sunt!" 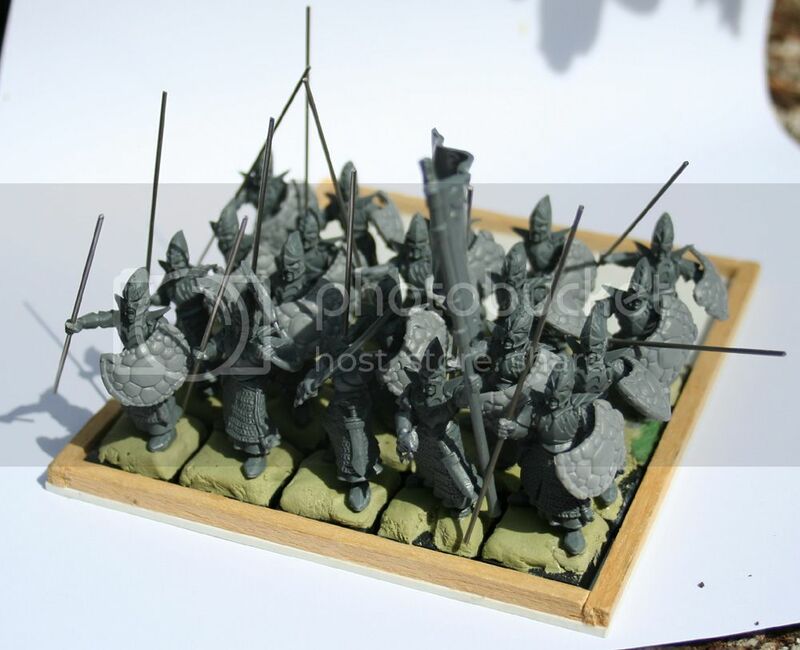 I have 3x spare female warrior torsos, warrior legs, square bases, spear arms, crossbows, banners and shields. Corsair torsos+cloaks, few heads crossbow arms. Square bases. If anyone can help me out, either through generosity or swaps, please PM me offers. If anyone is willing to trade/sell me these bitz, please PM me. I'm not in a hurry, so if this post gets old there is still a good chance that I need the bitz. I am after the female Dark Elf warrior torsos, I need at least five. I have loads of the male torsos to swap or cash or if you are Central London based a drink. Please PM me if you can help. If some one looking for the female Dark Elf warrior torsos, I have 18 upper body parts for trade. trade agains other dark elf warrior torso. Most shields versions are ok.
PM me if you have any thing too offer. I'm looking for regular 20mm bases. I have a ton of 25mm lying around that I will never use, so if anyone is looking for those and doesn't want to buy the crappy GW mix bag send me a pm. Heya im after any/all undead heads you may have lying around bits boxs etc. We need more slaves ! I am looking for one of the necks of the trish morrison hydra. Specifically the one in the picture. I'm sorry that I don't have any empire bits. Just thought I would post what I have access to if anyone is interested. Outside og that I have a lot of "misc" bits. Hi i´m looking for 10-15 corsairs cloaks. Its an old thread, but I am in dire need of the left arm of beastlord rakarth. Somebody got it spare? Probably a dumb Q., but you've had no luck on bits sites? If you have a good suggestion for a bits-site let me know. The ones I checked had more plastic sprues and modern items.